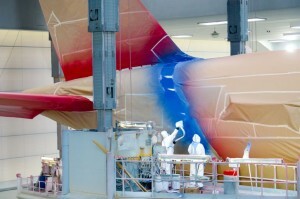 LATAM will be the 1st airline to operate transoceanic routes from Madrid-Barajas to South-America with the Airbus A350. 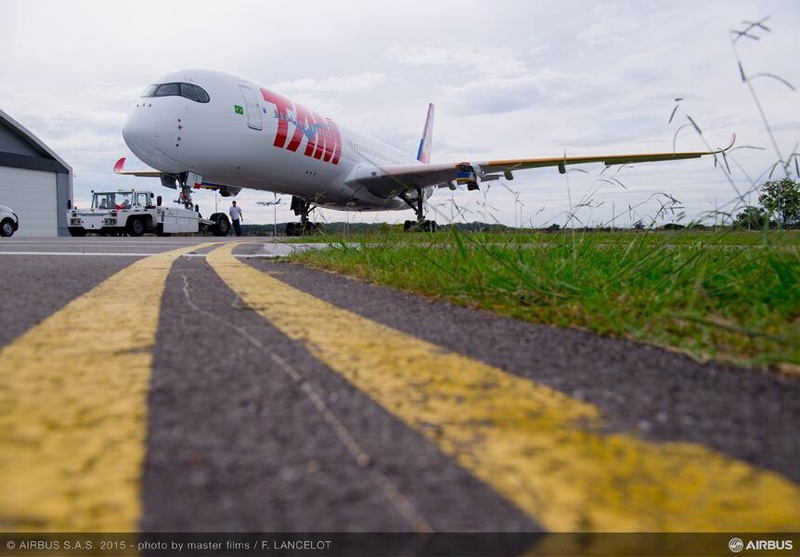 LATAM -the merge of LAN (Chile) and TAM (Brazil)- will bring the new Airbus A350 to Madrid in May/2016. "We will be the 1st company to cross the Atlantic with this modern aircraft" said Rodrigo Contreras, General Director of LATAM Europe. LATAM will be the 4th airline to receive the A350-900 end of December this year. 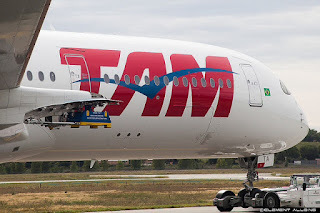 LATAM is in the struggle of various groups of airlines to dominate routes between Europe and South America. 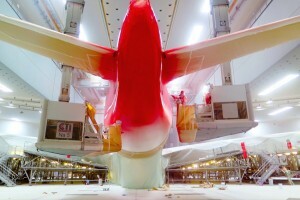 Currently, Iberia –which has ordered the A350 too- is the absolute leader in this market, although LATAM will be the first deploying the A350 at Barajas, a few months before Iberia begins to receive their order. LATAM has a important advantage: “the regional network of LATAM is unbeatable: 42 destinations in Brazil and 115 on the continent", said Contreras. Have just discovered that MSN011 has been delivered ahead of MSN008,strange that. It seems that Qatar has been a bottle neck for FAL because now that they are being cleared,other A350's are coming through at a faster rate.MSN 008 is due to be delivered today, leaving 6 other A350's for delivery this year. There is also the possibility of MSN005 (which has been sold and is going through rework) will appear before the year is out as Air Carabies.That would make a total for this year at 16. Lets hope it all works out. Does Cathay Pacific need additional A350 XWB? Boeing also expects an A350-1100. Vietnam Airlines receives their 3rd A350. A350-1000 on track and progressing very well. Finnair takes delivery of its first A350-900.